The Wellis Elbrus 230 Premium with a huge 92 hets including 78 water jets and 14 air jets. A superb large 7 seater hot tub with a range of additional features from the massage system on the captains seat to a remote wifi smart phon connection. 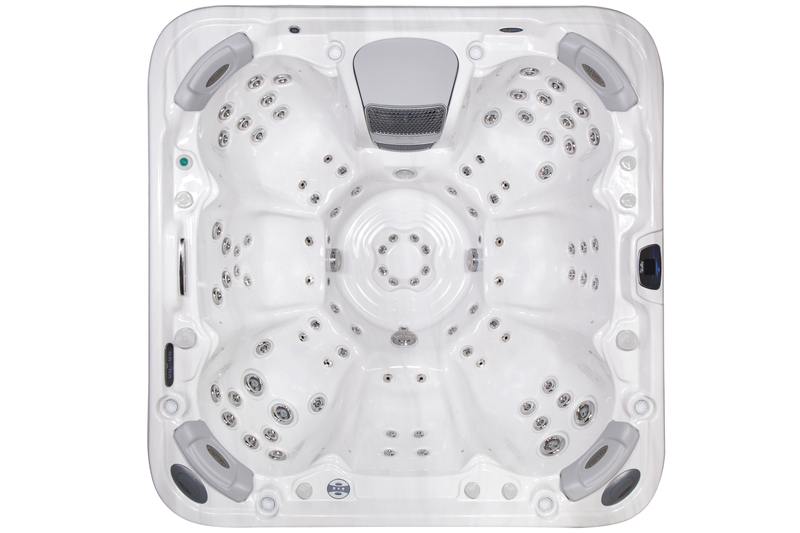 This is a high end 7 seater hot tub at a great price and available to buy in the UK from Bay Spas.